As a Nature Traveller/Photographer, I am trying to make people aware of the ills of using plastic. We must reduce our dependency on plastic as it not only clogs up our lands but also our mountains & oceans. Let me say that again, 8 million metric tons. One of the primary reasons plastic is bad for our ecosystems is because it takes years and years to degrade. Apart from this plastic waste is doing more harm to our animals than we can think off. I’m sure you may have read several articles in the news that talk about how animals are eating and then choking on plastic. If not, here’s one such article for you which talks about how 115 cups, 25 plastic bags, 2 slippers, and four plastic bottles were found inside a dead sperm whale. Click here to know about what to do for a healthy boost up in yourself. It is said that by 2050, there will be more plastic in the oceans than fish! Unlike humans, animals find it difficult to differentiate what is food (biodegradable matter) and what isn’t. Thus, microplastics are get mixed with food when it is dumped in landfills and animals end up eating it. There are a number of programs brought out by governments and companies to reduce plastic production and consumption, however, there’s only so much they can do alone. The onus to reduce the demand for plastic and also consume less of it is on us, the public. It is our responsibility to use less plastic in our daily lives and also spread awareness about it whenever and wherever possible. One may think that this is an impossible task to do, but it is an extremely necessary one. It all boils down to making small and conscious choices. Here are some of the things that I use while traveling to reduce my consumption of plastic items. These are extremely small steps that you too can incorporate in your life to reduce plastic. In fact, these are things you can use in your daily life as well, on days when you’re not traveling too! Make your travel perfect by following these awesome tricks. I think this is the simplest thing one should start with. When you’re traveling to a new place and you’re not entirely sure about the quality of drinking water, you end up buying endless amounts of one liter bottled water cans. Just think of the amount of plastic that is! 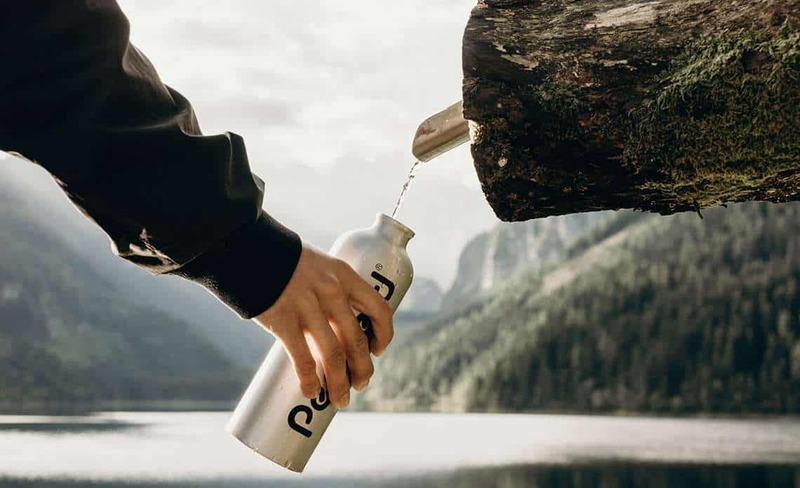 Instead of ending up with piles and piles of waste, splurge a little on buying a good sturdy water bottle that you can use over and over again. Instead of buying water, you can request the hotel you’re staying at to fill your bottle up from their water purifiers before you leave for a day of sightseeing. Imagine the amount of waste you will be saving up on and more importantly the amount of money you will be saving from not having to buy bottled water! If you think about it, you don’t really need a straw to sip on anything! Straws are one of the most harmful items as well as the most common items found in the ocean. You can simply opt to have your drink without a straw or buy biodegradable or reusable straws. How many toothbrushes do you use in a year? Three? Four? You can stop using plastic brushes that are harmful and start using bamboo ones instead. And here’s a fun fact for you, bamboo is one of the fastest growing plants! Know about the unbelievable beauty of this sinking city here. Today, almost all shopkeepers charge you extra for those shopping bags. While for many people this extra charge doesn’t amount to much, you can make a conscious decision to refuse it. Carry your own cloth bag to reduce a ton of plastic! This is something that irritates the life out of me, coffee and chai in plastic or even paper cups! Just think about the number of people who live coffee and chai dependent lives and how much waste they may be produced by drinking copious amounts of these beverages! While traveling you can buy a handy travel cup that you can wash and reuse over and over again. Saves you from using a lot of plastic and easier for you to use too.